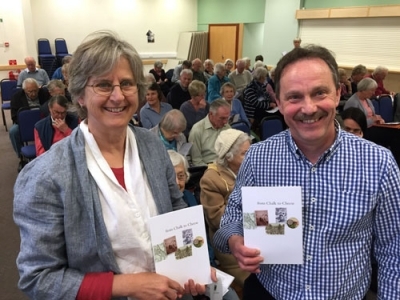 Authors Carolyne Haynes and Doug Jones launched their new book From Chalk to Cheese at the PAHS meeting on Wednesday 8th April 2015. The book tells the story of why over thousands of years chalk has been quarried and turned into lime and the fascinating and important part Buriton has played in this process over the years. With the 800th anniversary of the Magna Carta taking place this year, it is interesting to remind ourselves of King John’s association with Petersfield. Born in 1167, he was the fourth son of Henry II and as such was not expected to inherit significant lands; indeed he was given the nickname of “John Lackland”. Though he grew up to be a weak and unscrupulous character whom few trusted, he was Henry II’s favourite son and Henry made every attempt to provide an inheritance for him, part of which were the manors of Mapledurham and Petersfield. In 1120 Petersfield was granted a charter by William, Earl of Gloucester and on his death his widow, Hawissa, confirmed it. The Gloucesters were very wealthy and extremely close to the royal family as Richard’s father, Robert, was a son of Henry I. However in 1176, after the death of Hawissa, Henry II disinherited the two elder daughters of William and Hawissa in favour of their younger daughter, Isabella, to whom he betrothed his son John. 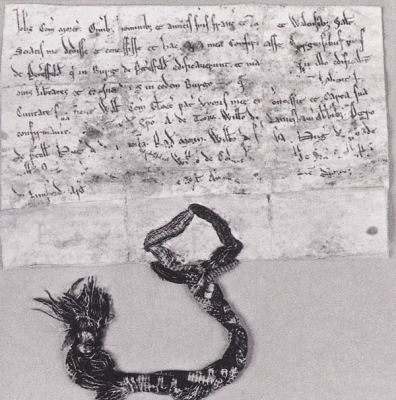 It was for this reason, in the face of convention that Prince John, Count of Moreton as he was then known, came to confirm the charter of the manor of Petersfield in 1198, which had been bestowed upon him by marriage. 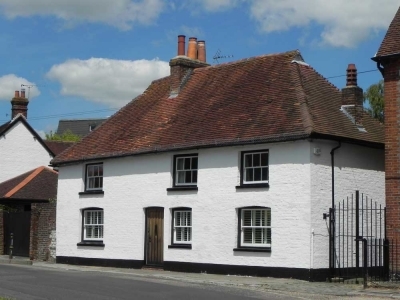 During 2015, the Society is embarking on a project to photograph the buildings of Petersfield so as to provide a photographic record for the future. 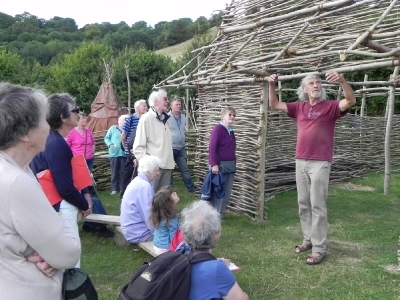 Following a very interesting talk by Maureen Page, Education Director at Butser Ancient Farm, earlier this year, we were fortunate to be given a tour of the site by David Freeman, who heads up the practical construction of the experimental building project. We started at a new Mesolithic area, which is being created to accommodate the new schools’ curriculum being introduced from Autumn 2014. We moved onto the Iron Age buildings, many of which have been there for a number of years. It was explained how the construction process has changed since the project started more than 30 years ago. 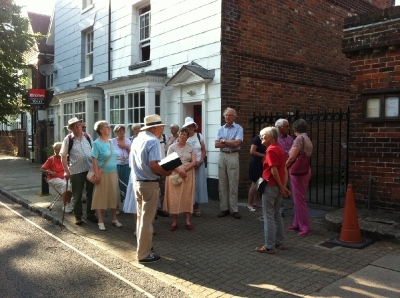 Bill Gosney led a group of members of the Society on a new walk. The start of the First World War in August 1914 set in motion a process which changed towns and villages throughout Britain and Petersfield was no exception. The walk explained the significant part that Petersfield played in the war effort and where those events took place.